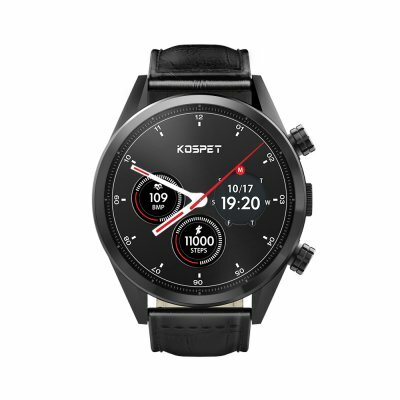 Successfully Added Kospet Hope Lite Smartwatch Phone - 4G, 1.39 inch, 1GB RAM, 16GB ROM, IP67 Waterproof, Leather Belt to your Shopping Cart. Kospet Hope Lite 4G Smartwatch Phone 1.39 inch Android 7.1 MTK6739 Quad Core 1.25GHz 1GB RAM 16GB ROM IP67 Waterproof 620mAh Built-in. Nano SIM Card / Bluetooth Phone Call / Answer, You can dial or answer a phone call from your wrist watch. 1.39 inch AMOLED Display, 400 x 400 Pixels, Best suitable screen size with high definition picture displaying gives you a great experience. 8.0MP Camera, Capture moments at any time, selfies are more convenient and confident. And the pedometer Record the steps you take and count the distance to make you fully control your sports.